Is iQ Academy Minnesota a private school? No. 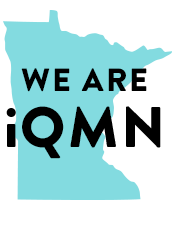 iQ Academy Minnesota is an online public school program of Independent School District 544 (Fergus Falls Public Schools). Is iQ Academy the same as homeschooling? Students enrolled in iQ Academy do their learning at home, but they are participating in a public school program of Independent School District 544. The curriculum is approved by the district for earning credits that can lead to a high school diploma through iQ Academy Minnesota and Independent School District 544. Unlike homeschooling, there are certified teachers to guide the learning, daily lesson plans, and an entire support system - including principals, guidance counselors, an online attendance tool, assessments, and a progress-tracking system. My child has been homeschooled up until now. He will be in 11th grade next year, and we want him to graduate on time. How will iQ Academy count his homeschool work? Because every homeschool curriculum can be different, we will need to review any documentation you have of your child's elementary or middle school work, so we can compare it with the requirements of iQ Academy Minnesota, give credit for as many courses as possible, and put together a plan to graduate. Scantron Diagnostic Assessments (grades 3-5) in English and math pinpoint proficiency levels, guide the creation of your student's Individualized Learning Plan, and allow us to measure progress over the school year. Contact us by telephone or e-mail for more information. What kind of diploma will my child receive after completing iQ Academy? Students who complete all the district requirements for graduation will receive a Minnesota high school diploma from Independent School District 544. My child has an IEP and has been enrolled in Special Education in our home school district. Does iQ Academy enroll students with special needs? Acceptance of students with special needs is determined on a case-by-case basis. Just like the brick and mortar school is not the best fit for every student, online school may not be the best fit for every student either. The main issue to consider is whether the independent nature and emphasis on reading and writing skills inherent in any online program will be the best fit for a student with special needs. iQ Academy has specially trained staff who will need to review every IEP and will be in contact with families concerning the results of their review. Contact us by telephone or e-mail for more information. How do I get help from my child's teachers if he is having difficulty with coursework? Your teachers will provide feedback on any assignments or projects you complete. You can also contact your teacher via e-mail or through the course message center. In addition, each teacher has regularly scheduled online office hours. During the scheduled time, students interact with the teacher and other students in a virtual classroom. The K-5 program is mastery-based, which means your child won't move on to the next lesson until he or she has mastered the current one. We measure proficiency through lesson, unit, and semester assessments. 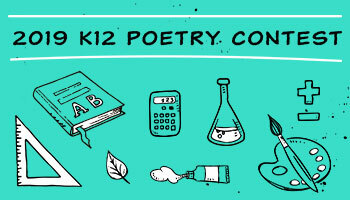 In grades 6-12, progress is measured through quizzes, exams, written essays, assignments, projects and semester exams. Every course contains specific information on how the students' work will be evaluated. Parents and students are free to contact the teachers at any time to discuss the evaluation process. Where can I get a course Pace Chart or planning/progress tool? Course tools are provided for each course on the online school platform. These charts will help you plan your work so that you will complete the course by the end of the school year. For grades 6-12, Pace Charts are typically found in the Course Information tab. For grades K-6, Planning and Progress Tools are found within the Online School (OLS). How much time does it take to complete a one-credit course? iQ Academy Minnesota runs on a school-year calendar, and all coursework should be completed by the last day of the school year. A one-credit course is designed to take 36 weeks or about 180 hours. As a general guideline, in addition to the time you spend online, you should also count on spending time reading, completing assignments, and studying for tests and exams. Therefore, you may need to spend approximately 180 hours to complete a course. This time is a guideline and will vary according to course, study habits, etc. You should assume that a half-credit course will take half as much time as a one-credit course. What role do the teachers play in iQ Academy Minnesota? The teachers play an important role in the iQ Academy program. It is the role of the teachers to meet the individual learning needs of their students. Teachers hold "office hours" and provide weekly online course instruction via Blackboard Collaborate, where students can ask questions and have discussions with their teacher and classmates. Teachers are also available by phone and e-mail, and parents and students are encouraged to contact their teachers with questions. In grades 6-12, more of a student's course work can be done independently, but students are definitely never "on their own." As a parent, how can I check on my child's progress? Parents are assigned a secure login to enter the iQ Academy site (grades 6-12) or the K12 Online School (grades K-5) and to monitor their children's progress and online activity. 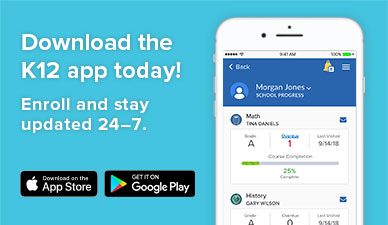 Using this account, parents can go directly to their child's classes and see what assignments have been completed and what their child's grades are at any time. A progress report is also e-mailed to parents' iQ e-mail accounts weekly. What kind of academic support and social opportunities are there at iQ Academy? Q Academy teachers host weekly, live online class sessions via the Internet, which offers beneficial opportunities for student-to-student and student-to-teacher interactions. In addition to online experiences, our teachers host in-person outings throughout the year. Students in grades K-12 may also join a variety of clubs in a safe, secure, online environment (please see the iQ Student Community section). How can I know if my middle or high school student would be successful doing online learning? A willingness to seek out answers to their questions, or to move on to a different subject until the necessary help is available. The willingness to ask for help when needed. There are many opportunities to get help from teachers, from other students, or from technical support. Students have to be willing to make use of those resources and let someone know if they don't understand something. Some personal motivation to succeed in the program. Students who are forced into an online learning environment are less likely to be successful. How can I help my child succeed at iQ Academy? Set up a school schedule for your child to follow every day. Students should plan on spending approximately one per day for every class, plus some extra time for outside reading or writing papers. Bear in mind, children in grades K-5 can expect to spend less than half of their school day online with the rest of their time working in workbooks, on printed lessons, and other activities. Middle and high school students spend an increasing amount of their time online. Encourage your student to discuss his or her work with you. Discussions can give you clues as to whether your student understands the materials and assignments. Early detection can help you catch potential problems before they grow into large difficulties. Do I have to be at home all the time my child is doing schoolwork? This varies both in terms of the child's age and specific needs. Typically, being at home full-time is important for the Learning Coach of younger children, but is not required for students in the higher grades. However, it is important for your older student to know you are interested in how he or she is doing in school. As in all educational endeavors, students with an active and interested parent are at a distinct advantage for success. Most students need a certain amount of structure, at least initially, in order to flourish in the flexible online environment. iQ Academy provides parents with some very specific tools to stay informed of their child's progress. How will you keep my child safe while working on the Internet? The main content of all iQ Academy courses is available directly through our secure, online student classroom area. In some cases, teacher-provided links direct students to other websites, where they can take advantage of educational information online. In addition to limiting the sites students must visit to do coursework, we have added software on all iQ Academy-provided computers that filters out inappropriate sites. Beyond that, good parental supervision and setting guidelines for Internet use that match your family values will go a long way in protecting your children from unwanted information. How do we know if iQ Academy is the right school for us? We invite you to contact us and learn all you can about what iQ Academy has to offer you and your child. Getting as much information as possible is the best way to make an informed choice.